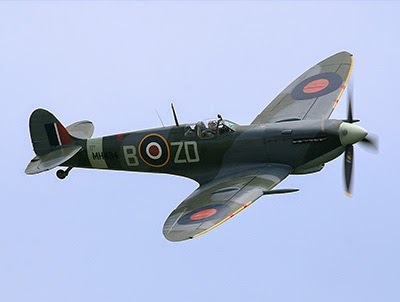 Some of the most distinctive sounds of Britain, including the hum of a Merlin engine inside a Spitfire and a whistling kettle, are to be captured and preserved in a huge audio archive. Torsten Nilsson, a Swedish museum curator, will arrive in Britain in September to record sounds now rarely heard, including the noise made by the engine of a classic Bentley and that of 'at least 40 different English kettles boiling ready for preparing afternoon tea'. The trip is part of a two-year £170,000 project, funded by the European Union, to collect sounds from around Europe before they disappear. Among the noises Nilsson wants to record are the sound of a person dialling a rotary telephone and a dial-up modem in operation. The recordings will be made available to the public. Pocket Lint has published a review of HTC's latest flagship smartphone. 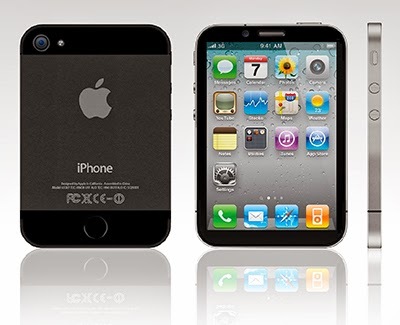 "It's difficult to criticise the quality of the solid build, which eclipses many other devices. It sticks very much to the concept behind the 2013 model, so if you own the older device, then you'll love how the One has evolved in 2014." "The new phone is a large device... but it feels slightly easier to manage than the likes of the Sony Xperia Z2 thanks to the curve of the back that sits so nicely in the hand. The gesture controls make it easy to access too, as you don't have to stretch for the access button." 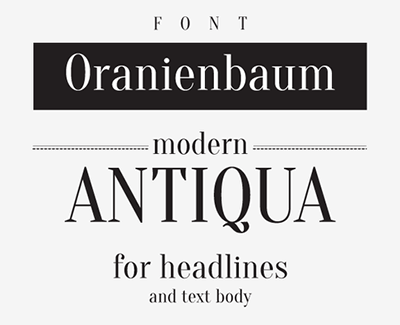 "It's also hugely powerful and a pleasure to use. It can fly though intensive tasks and the addition of the microSD card slot is a real benefit too." "Sense 6.0 moves HTC's Android skin on a step, continuing to refine the user experience, trim away unnecessary excesses and support you with native functionality that actually matters. There's still some bloat, but sections such as Gallery are enhanced." 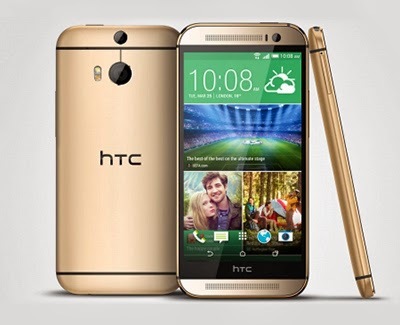 "The HTC One (M8) is a wonderful reinvention of the 2013 handset. There's innovation, refinement and new features that make it a shining example of a flagship device." 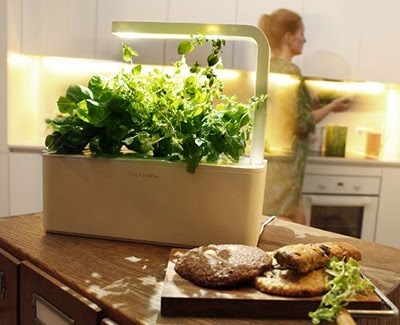 Click and Grow has announced its second generation Smart Herb Garden for indoor cultivation. Just add water, plug into an electrical outlet and the technology does all the work. The nano-tech growth medium combined with a removable 6 watt LED grow light helps yield plants even in less-than-perfect conditions. The new model lets you raise up to 3 herbs at once (the starter kit comes with basil, thyme and lemon balm). The nano tech growth medium contains pockets for oxygen and guarantees aeration to the plant roots even when material is fully saturated with water. In 1988, India had over 200,000 cases of polio reported. For the past three years, they've had 0. At the end of this month, the WHO will announce the end of polio in India. America experienced the height of polio in the 1940s and '50s, when about 35,000 people became disabled every year. Fear and panic spread and parents were known to warn their children to not drink from public water fountains, avoid swimming pools and stay away from crowded public places. 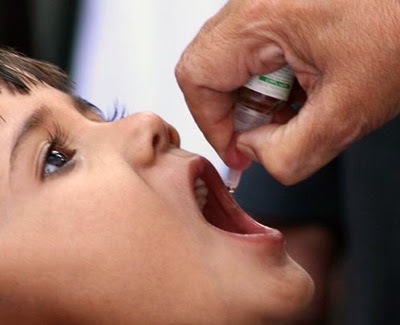 The development of the Salk and Sabine vaccines helped lead to eradication of polio in the United States in 1979. In India, too, vaccination was critical. 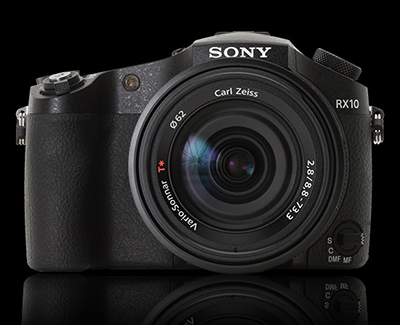 Digital Photography Review has published an in-depth review of Sony's £850 RX100/R1 hybrid. "The RX10 has all of the features you'd expect on a premium compact: manual controls, a high resolution EVF and tilting LCD, dynamic range enhancement, 10 fps continuous shooting, and built-in Wi-Fi." "The DSC-RX10 easily bests other premium superzooms in photo quality. Its 1" sensor is 2.8X larger than the 1/1.7" CMOS in the Olympus Stylus 1, and 4.1X bigger than the 1/2.3" sensor in the Panasonic FZ200." "Another part of the equation is the RX10's excellent 24-200mm F2.8 Carl Zeiss T* lens, which is sharp from corner to corner." "The RX10 isn't a compact camera [but] the body feels 'just right' in your hands. Controls are placed in such a way that they can be accessed with one hand." "Ultimately, the DSC-RX10 is a niche product that will most likely be picked up by photographers who want a 'best of everything' camera,. For those who the camera appeals to, it's a fantastic product, and one that is worthy of our highest award." Go Media Magazine has published a selection of hand-drawn logos. 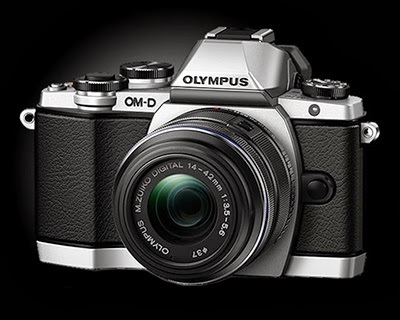 Digital Photography Review has published an in-depth review of Olympus' budget (£529, body only) OM-D model. "The E-M10 feels more like a third generation OM-D model than a step-down from its two brothers. It borrows many qualities we liked from both of them and presents them in a slightly smaller, lighter package." "The E-M10 offers an impressive level of direct control. Twin command dials and two customisable function buttons are just the tip of the iceberg - in true Olympus fashion, just about any button or dial on the camera can be customised." "The camera is very responsive. Auto focus is fast and reliable, camera menus are easily navigated and the touch screen adds one more interface option when the Super Control Panel is in use." "The E-M10 is capable of producing very nice images. JPEG default sharpening is a bit strong, and around ISO 3200 noise reduction starts to muddy fine detail. In good light at low-to-moderate ISO the E-M10 produces pleasantly sharp and clean JPEGs that rival the performance of entry-level DSLRs." "The improved feel of the control layout in the E-M10 and additions like Wi-Fi make this camera feel more like an un-weather-sealed E-M5 replacement, rather than a lower-end model. Those considering the E-M5 at this point should take a serious look at the E-M10 - if weather-sealing isn't absolutely necessary, then we're inclined to pick this one over the E-M5." Transporter Sync turns any external USB drive into your own private cloud. Featuring sync, access, share and protect functionality in a compact form-factor starting at just $99 with no monthly fees. Most cloud storage solutions require you to move all your files to a specific folder to sync across devices. This can be a real hassle with applications that save files to default locations. The Transporter Special Folder feature allows you to sync files directly from popular desktop, documents, movies, music, and picture locations. Selective Sync gives you the flexibility to select only the folders you want to be synced to your computer. This feature is especially handy for saving space on computers with small hard drives and is ideal for households and businesses with multiple computers. Mobile phones have become the camera of choice for capturing life’s special moments, but this convenience has resulted in phones that are constantly running out of storage space. The camera auto-upload feature allows you to pick your favorite location (home, office, etc.) and anytime your phone connects to that network, newly added photos and videos will be automatically synced to your Transporter. 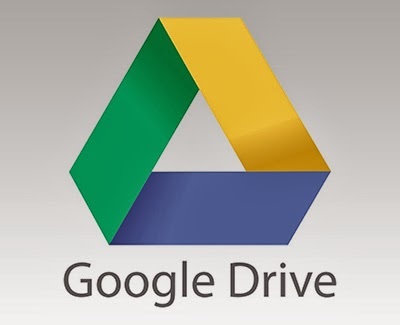 Google announced that it’s lowering the monthly pricing plans it offers on Google Drive. Storage purchased counts towards storage for Drive, Gmail and Google+ Photos. The new monthly plans begin at just $1.99 for 100GB down from the previous $4.99 for the same amount of storage. There is also a new $10 plan for 1TB (down from $50 previously), and a 10TB and up option that starts at $99.99. Google will also continue offering the free 15GB option that comes with your Google account for Drive, Gmail and Google+. As promised, Neil Young launched the Kickstarter for his long-awaited high-quality digital music service and player today at SXSW. 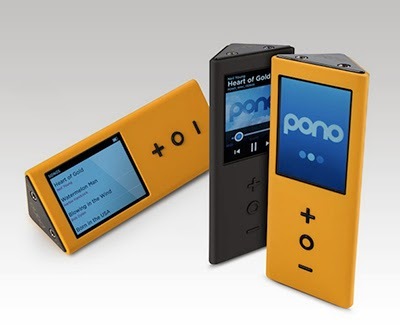 It's called PonoMusic (the players are called PonoPlayers), and it costs $399 and contains 128GB of memory. 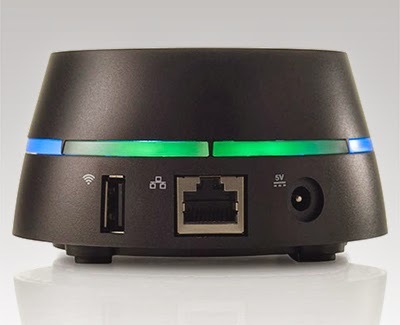 The triangular device connects to the PonoMusic App, for Mac or Windows, which offers access to the PonoMusic store, where you can buy and download music, much like iTunes. There are two output jacks, one designed for specifically for headphones and one designed for home audio systems or cars. In his book Waging Heavy Peace, Young talked about the early days of Pono (when he called it "PureTone"), saying, "An MP3 has about five percent of the data that can be found in a PureTone master file." More recently, he wrote, "Hearing Pono for the first time is like that first blast of daylight when you leave a movie theatre on a sun-filled day." Gábor Balogh is a freelance designer from Hungary who, like many of us, wants an attractive, watch-like watch that just happens to be smart. The difference between Balogh and the rest of us is he went ahead and designed an interface he believes could enable regular watch designs to include a full bevy of smart features. In an attempt to avoid obfuscation, Balogh's concept doesn't utilise a touchscreen or voice control. Instead, the interface uses the buttons and bezel found on most watches. The bezel is key to this interface. It can rotate to scroll through a long message or switch functions in an app, or be clicked to make a selection. Using the bezel for controlling apps and other smartphone-related tasks frees up the three side-mounted buttons to control "native" functions like time, date, and alarms, as well as switching between modes. 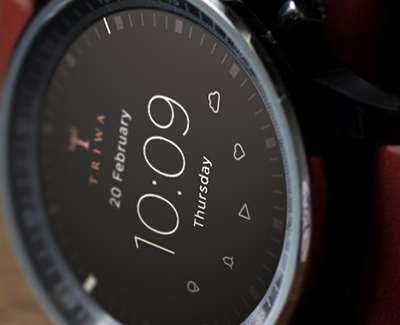 This clear separation of native and app functions should make the interface easily accessible to users familiar with how a regular watch works, while the lack of a touchscreen will stop the display from picking up smudges and grime from your fingers, and also stop your fingers from obscuring the display. Want to be a winemaker? With the new Miracle Machine, it's easier than you think. There's no need to buy a winery. All you need are a few ingredients, the soon-to-launch Miracle Machine smartphone app and the Miracle Machine. 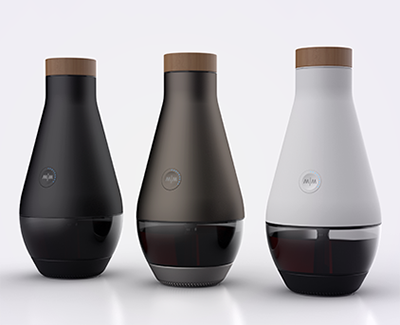 It's a tabletop device that turns grape concentrate, yeast and a couple other ingredients into wine. You'll be able to choose from six wine types that include full-bodied Cabertnet Sauvignon, rich Chardonnay from Napa Valley, cool-climate Pinot Noir from Oregon, aged Tuscan blend from Italy, Sauvignon Blanc from Sonoma and a delicate red and white from Burgundy. Sync your smartphone to the app and the Miracle Machine's fermentation chamber gets to work making the wine. It uses electric sensors, transducers, heaters and pumps to create a controlled environment for the first and second fermentation stages. The refractometer measures the sugar content, a ceramic air-diffuser pumps filtered air to aerate the wine and soften the tannins, and the transducer is used to speed up the wine's flavour development. The Miracle Machine will cost $499. James and Boyer plan to sell the wine ingredient kits through their website and on Amazon. The two also plan to launch a $10 monthly wine club to supply members enough kits to make a couple bottles a month. 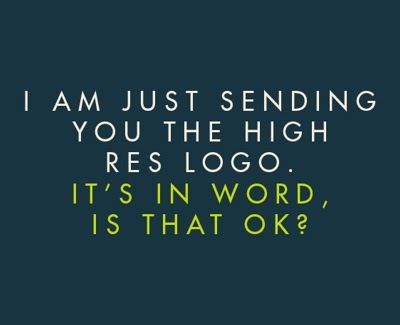 The client is always right! Jonathan Quintin has produced a marvellous collection of quotes that will make anyone who works in the creative industry grin, sigh or sob uncontrollably. 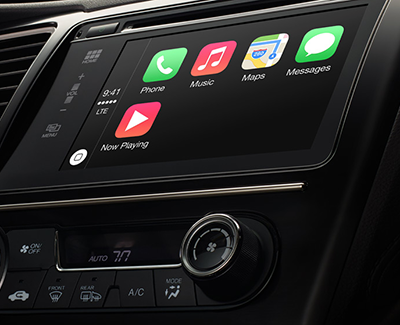 Apple has partnered with leading auto manufacturers to roll out CarPlay as a 'smarter, safer' way to use your iPhone in the car. To begin with, Ferrari, Mercedes-Benz and Volvo will premiere CarPlay equipped vehicles at the Geneva International Motor Show, with other manufactures to introduce the service at a later point. CarPlay uses Siri to give you an “eyes-free” experience when driving using voice commands. You’ll be able to instruct Siri to read out your messages, dictate responses, make calls or listen to voicemails without you having to move your hands from the steering wheel. The new iOS in the car features will also integrate Apple Maps to anticipate destinations based on your recently made trips, contacts, emails, texts or appointments. CarPlay will use Maps to give you the route, traffic conditions and ETA. Apple has partnered with other auto manufacturers including BMW, Ford, General Motors, Honda, Hyundai, Jaguar Land Rover, Kia, Mitsubishi, Nissan, Peugeot Citroen, Subaru, Suzuki and Toyota. Created by Ivan Gladkikh and Oleg Pospelov. For the first time, a single strain of genetically modified rice has been developed to handle drought, salty soils and lack of fertiliser. The aim is to 'climate-proof' rice farms in Asia and Africa so that they can grow the same variety each year, regardless of the conditions. Crops have previously been developed that cope with individual environmental stresses such as drought and salt, but this rice is the first to counter three at once. The salt-tolerance gene came from Arabidopsis thaliana, a type of cress widely used in plant research, and the drought-tolerance gene came from a common soil bacterium called Agrobacterium tumefaciens. The gene that enables the plant to use nitrogen more efficiently, so that it doesn't need fertiliser, came from barley. 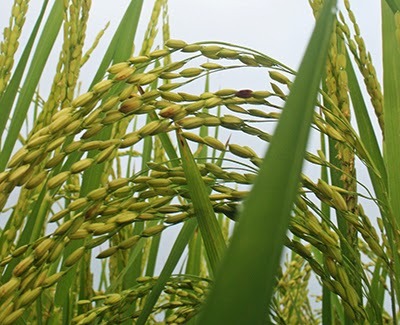 On 21 February, Arcadia announced it had completed two years of trials on the rice. The company compared the performance of its super rice with that of the unmodified parent rice in different environments. Under a range of drought conditions, the yield of the modified rice was 12 to 17 per cent greater than that of the parent rice. With low levels of fertiliser, its yield was 13 to 18 per cent greater. When exposed to both of these stresses at once, the yield of the modified rice was 15 per cent more than that of the unmodified rice. Trials using a range of salty conditions showed the altered rice had a yield that was as much as 42 per cent more than the parent rice.